Ekaterina Ballerina-What Is She Up To Now? In one of my earlier posts dated August of 2010, the very young Ekaterina the ballerina was experimenting with different brands of pointe shoes. Just like any other pointe student, she had to try a lot of different models to find the purrr-fect pair. You can see a photo of her first fitting here; Ekaterina Tries Freeds of London. Like many ballet dancers, she is also choosy about her appearance on stage. 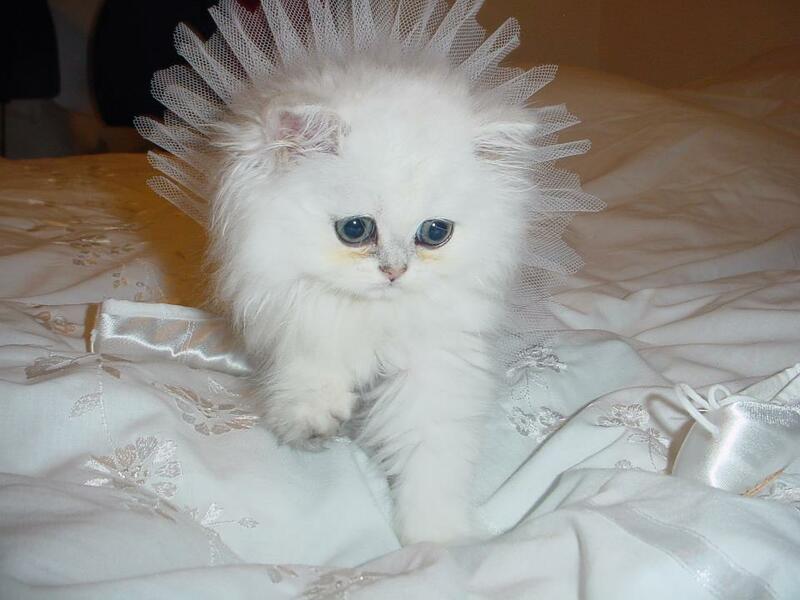 As you can see in this photo, Ekaterina knows she looks fabulous in her custom-made tutu. How does Ekaterina ballerina keep up with the physical demands of ballet? From what I understand, plenty of catnapping in between performances and rehearsals. What brand is Ekaterina wearing now? I think she is now wearing Russian Pointe miniatures in white satin. The shanks are soft and flexible so she can jump from one pillow to the next with ease. Tutu made by Ekaterina’s mum in England : owner/ head designer of Costume Creations UK. This entry was posted in Ballet Writing and tagged Ekaterina ballerina, kittens in tutus, kitty tutus, miniature pointe shoes. Bookmark the permalink. She is so cute! You know, for some reason I always associated cats and ballet in my mind…maybe because they’re so light on their feet? http://ekaterina-ballerina.blogspot.com/ to keep us posted on her ballet adventures.